An adjustable peg exchange rate is a system where a currency is fixed to a certain level against another strong currency such as the Dollar or Euro. Usually, the peg involves a degree of flexibility of 2% against a certain level. However, if the exchange rate fluctuates by more than the agreed level, the Central bank needs to intervene to maintain the target exchange rate peg. An adjustable peg system usually allows countries to revalue their peg – if it is necessary to regain competitiveness. The adjustable peg is effectively a semi-fixed exchange rate. The Bretton Woods system of the 1960s and 1970s was an example of an adjustable peg system. 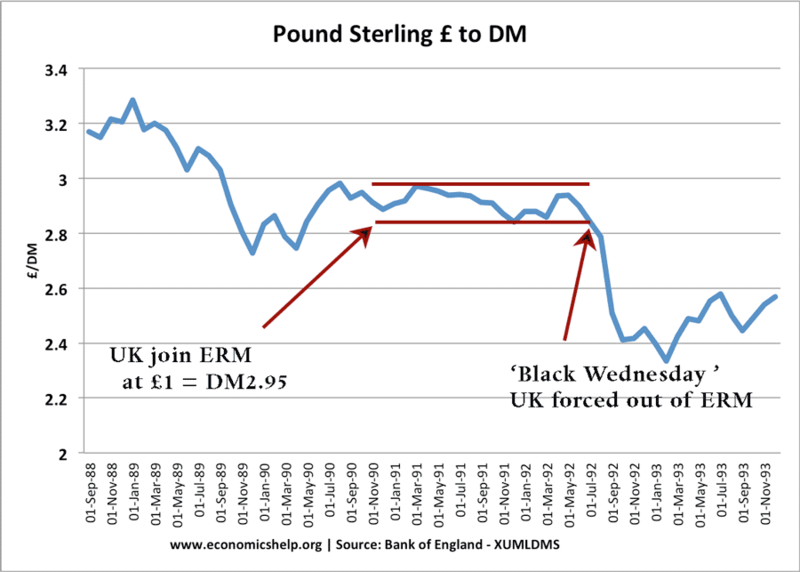 This was the period when the UK was in the ERM – a semi-fixed exchange rate. However, rather than adjust the peg, the UK just left in 1992. 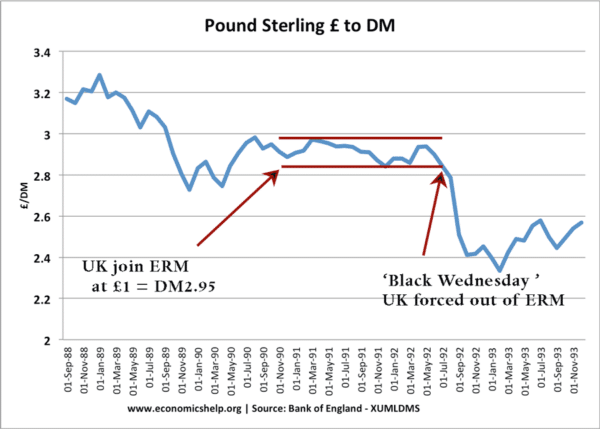 The idea of the ERM is to avoid changing exchange rate target.